Congratulations to our 2014 winners! We are so proud of all the women, from Humbolt to San Diego, who submitted. We were delighted by the talent in this state, and we look forward to reading even more next year. We wish to thank our incredible team who donated their time and talents to the Prize. First Prize: 20 FRIENDS by Michelle Carter. Plot Summary: Phyllis moved from one sugar daddy to the next. Now she’s 65, a chain-smoking agoraphobe, and she’s been evicted. Her estranged daughter, Kathleen, agrees to help. Kathleen pitches TV pilot ideas to her producer ex, Richard, hoping to sell him on a show and support Phyllis. Second Prize: NIGHT BECOMES DAY by Shawna Casey. This dark comedy follows a mother’s struggle to hold on to her two grown sons in Culver City, California. Michelle has twice received the PEN USA Award in Drama (2012, 2003). 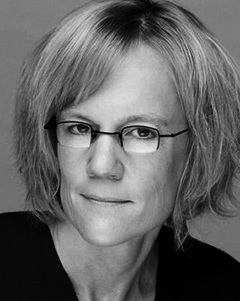 Awards: Susan Glaspell, PEN West, Backstage West’s Garland; Susan Smith Blackburn Prize nomination; Kesselring Prize nomination. Residencies: Berkeley Rep, Donmar Warehouse in London, Cité Internationale des Arts in Paris, et al. Her plays have been produced and developed at the Moscow Art Theater, Centenary Stage Company; the Kirk Douglas, Asolo Repertory, Clurman, Abingdon, and Aurora theaters. Festivals: Women’s Playwriting, Unplugged, New York Summer Play, Grimeborn Opera in London, and the New Work Festival at the Kirk Douglas. Music dance theater projects: DREAMSPIEL, an opera with the Ukulele Orchestra of Great Britain: Arcola Theatre, London. AFTER ALL, Part I, Yerba Buena Center for the Arts. THE LUCKY ONE, Ground Floor Residency, Berkeley Rep and Shotgun Players. She has published plays with Dramatic Publishing, a novel with Penguin Books, and is a professor at San Francisco State University. Visit her faculty page.